Squashes are in season and it’s time to take advantage of the fresh fall flavor. 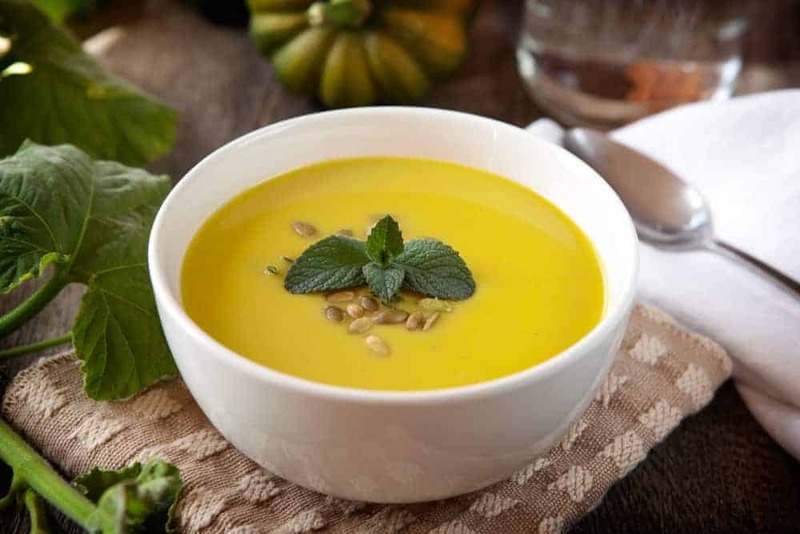 With just a few ingredients, a little bit of prep time, and the help of a powerful blender, you’ll create delicious fall squash soup fit for a five star restaurant. This easy, healthy recipe for acorn squash soup is one of my favorites and if you give it a try, I bet it will be one of yours, too! Lightly oil a cookie sheet and place the squash halves cut side down. Roast in the oven for 50-60 minutes, until they can be easily pierced with a fork. Add salt, cumin and curry powder and mix thoroughly, allowing a few minutes for the flavors to combine. Remove the squash from oven and allow to cool slightly, then scoop out squash flesh and add to the pot. Transfer the mixture to a blender, working in batches if necessary, and blend on high for 2-3 minutes, until mixture is smooth and creamy. Find more blended soup recipes on BlenderRecipes.us.